Loom Bands in your Knitting? Whatever Next? 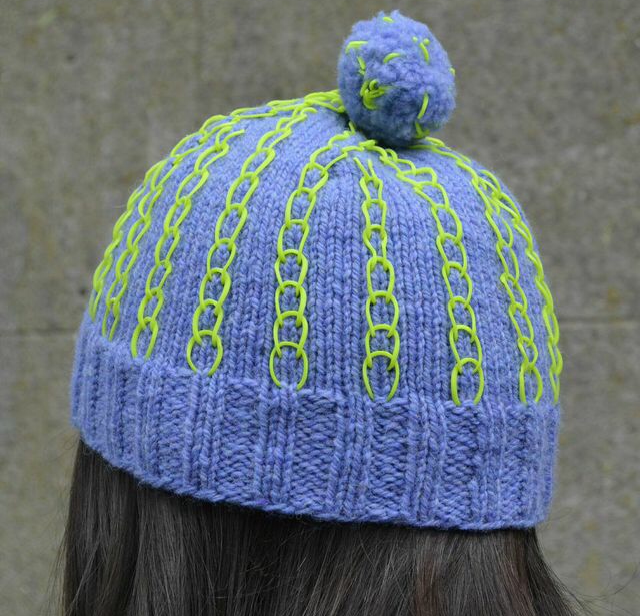 You may have noticed I’ve gone loom band crackers the last little while… Well I just released a quick, fun hat pattern that incorporates loom bands into the fabric. To make it you need 100g Aran yarn, 300 loom bands and size 5 and 4.5mm needles. The hat is sized from baby to adult, so you can make one for everyone in the family, not just your staker-boi niece! I made a video showing how to knit with loom bands and the other day I uploaded a photo tutorial on how to make a wool and loom band pom pom. I’d love to see what unusual things you do with loom bands. Post below by September 5th and I’ll pick a winner of a free copy of the pattern. This is fantastic! I worked at a camp this summer and thought I would be tired of rainbow looms forever…. but you’ve proved me wrong. Must think about this one….